THE PRICE DOES NOT INCLUDE STRAPS OR ASPAHALT PAWS! 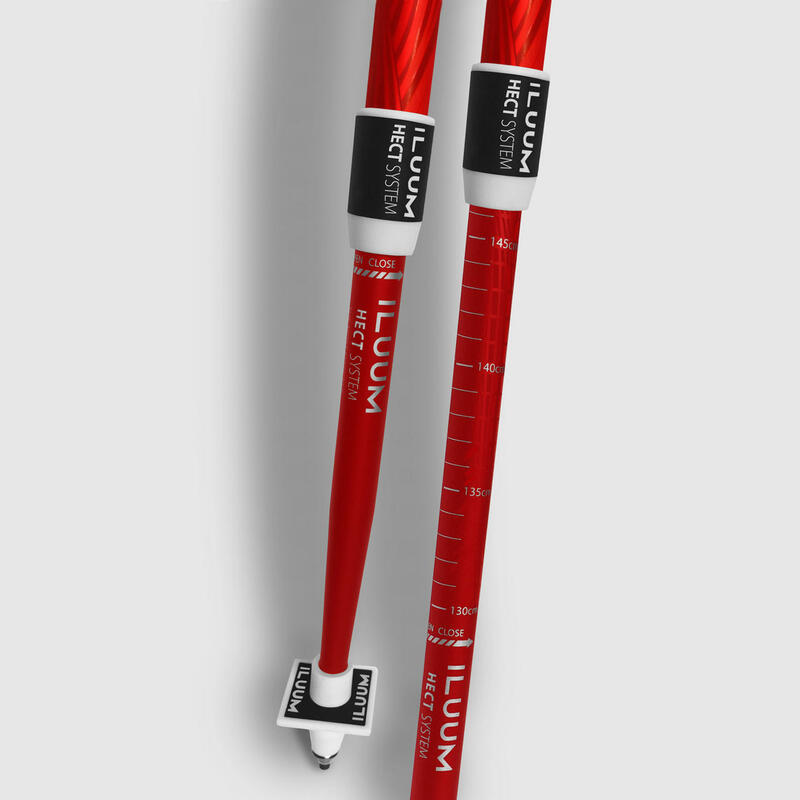 - ILUUM poles fit into a standard sized traveling luggage. 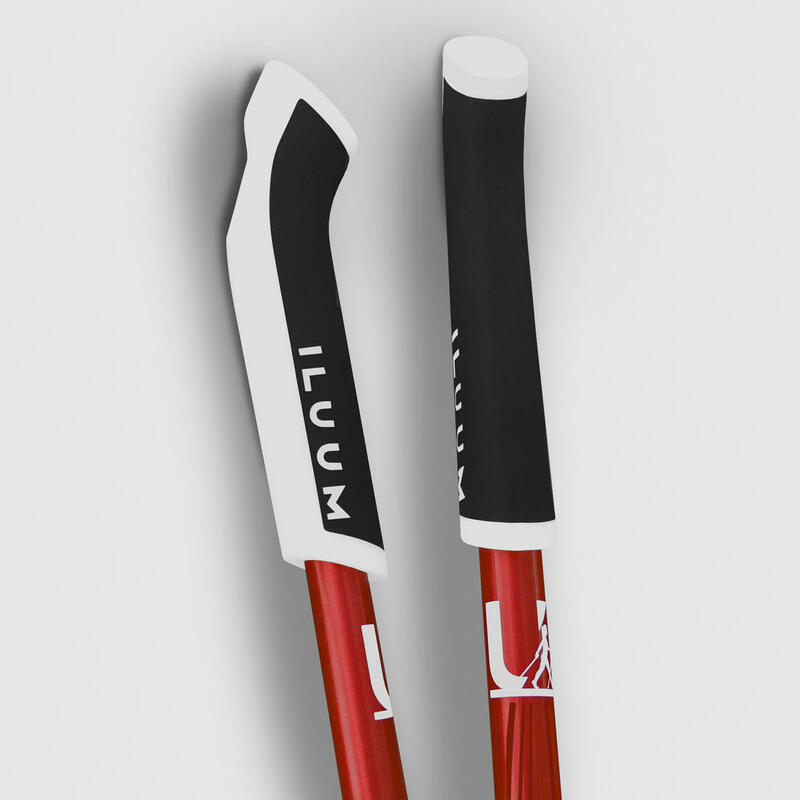 ILUUM HECT (height and endurance calibrated training) nordic walking poles are equipped with a two-component handle, featuring a quick lock system (QLS). 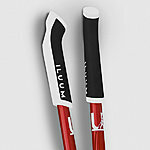 ILUUM HECT nordic walking poles have a sleek, simple yet elegant design to fit every surrounding. 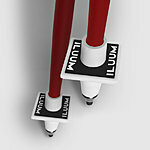 The poles are light weight, adjustable according to the user and available in three colors: noble silver, jet black and crimson red.  The handle is: ergonomic, easily cleanable and warm to the hand. 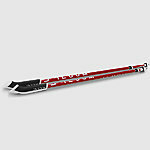 Its comfortable and durable strap fastens to the pole with the QLS*. 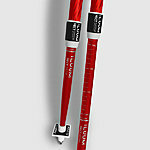 The easily adjustable two-part poles are made of high quality airplane industry aluminum. The poles connect seamlessly and don't clank.  The pole tips are cast from extremely durable tungsten.